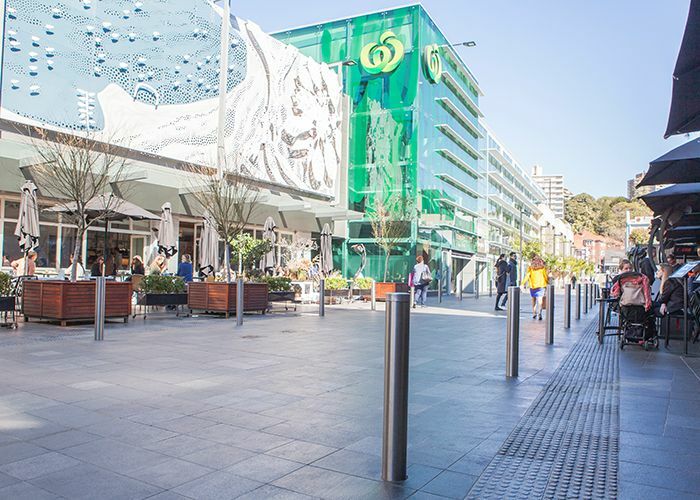 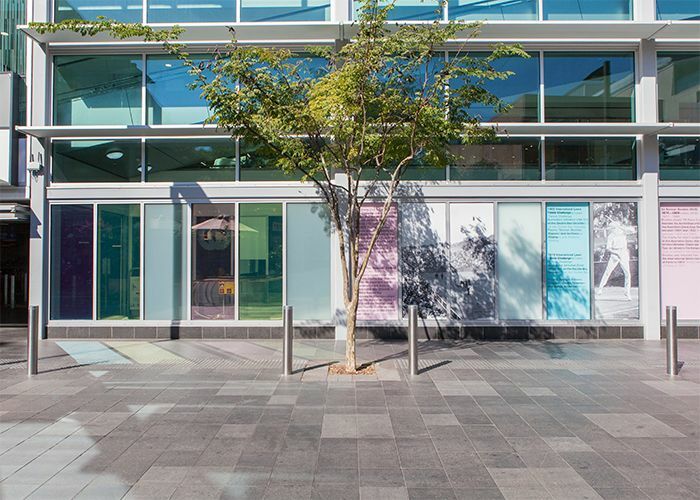 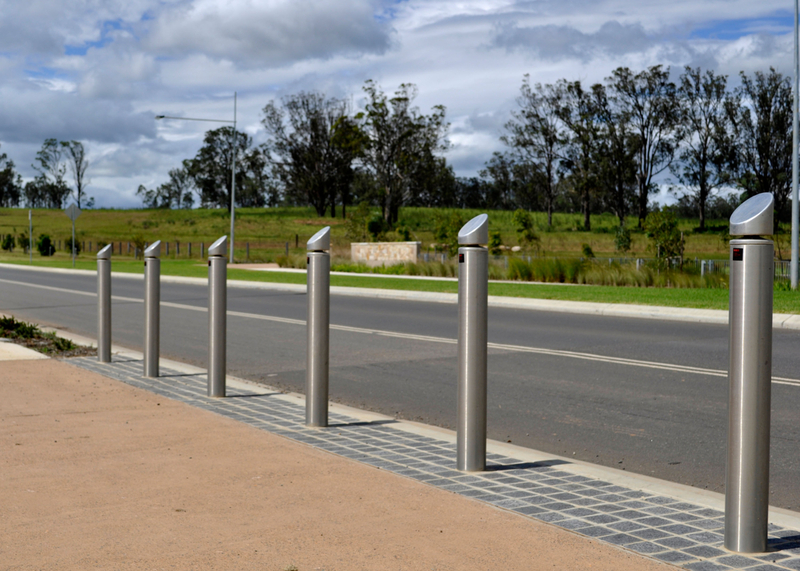 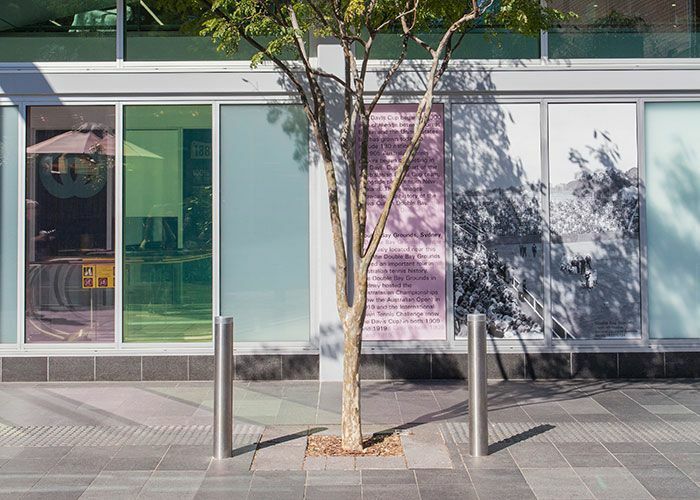 Slim Bollards protect the shopping and dining strip at Kiaora Lane, with the convenience of in-ground removable fittings. 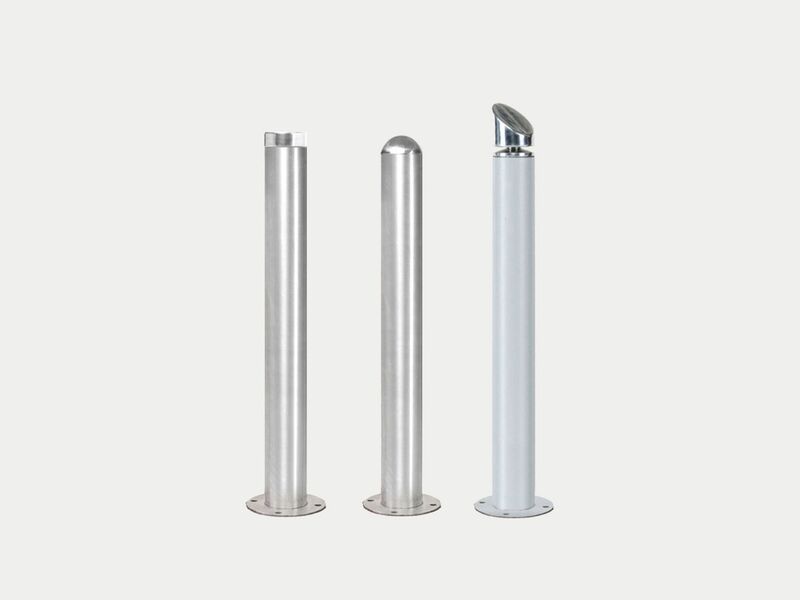 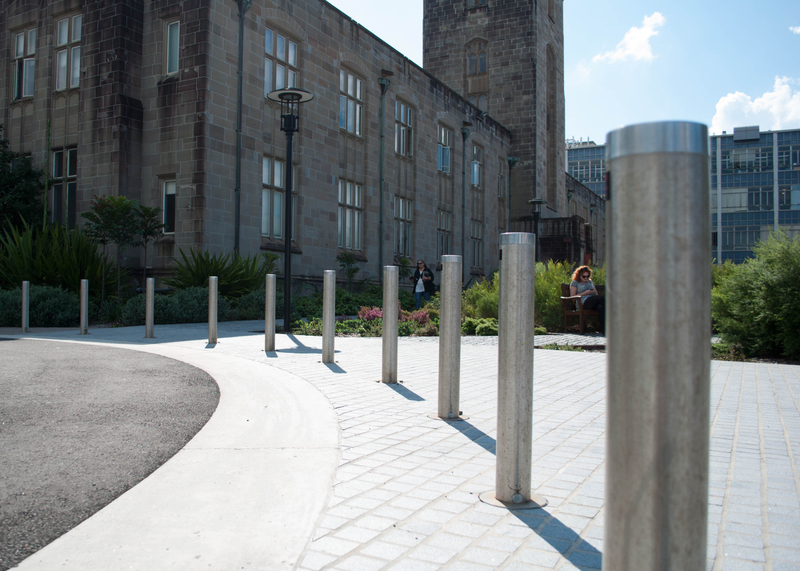 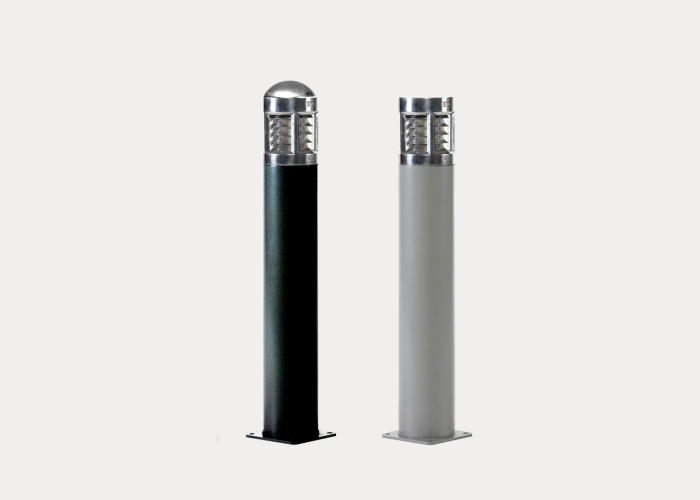 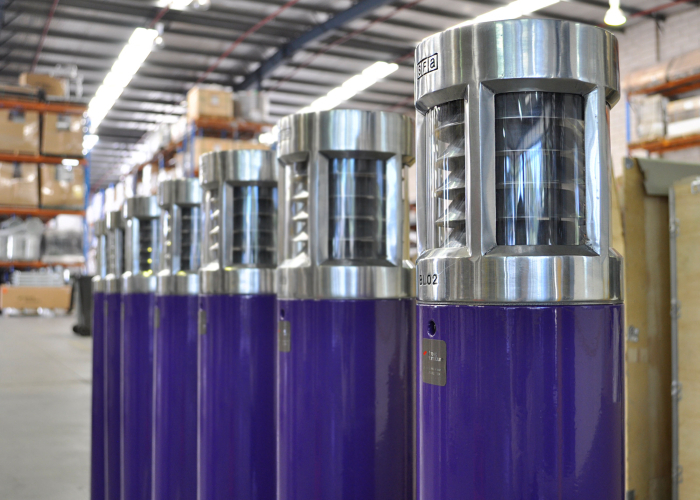 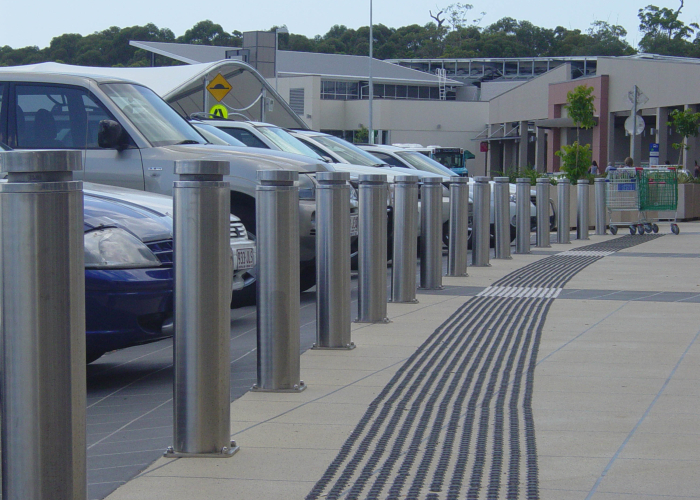 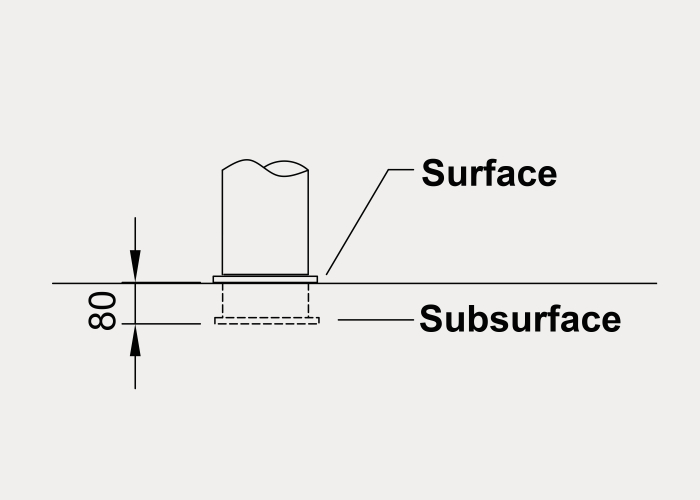 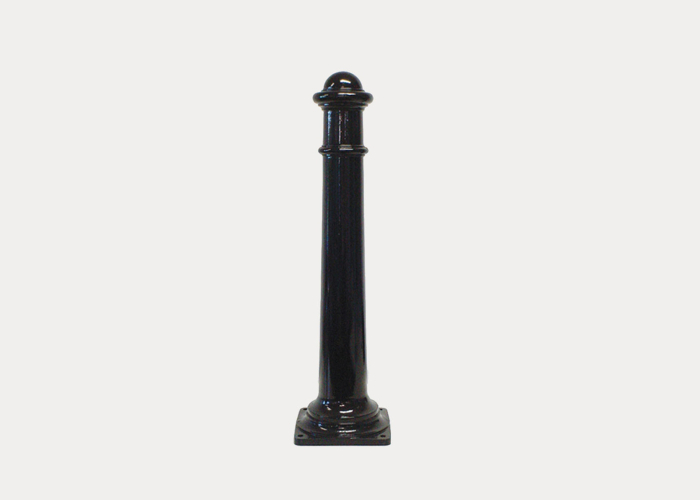 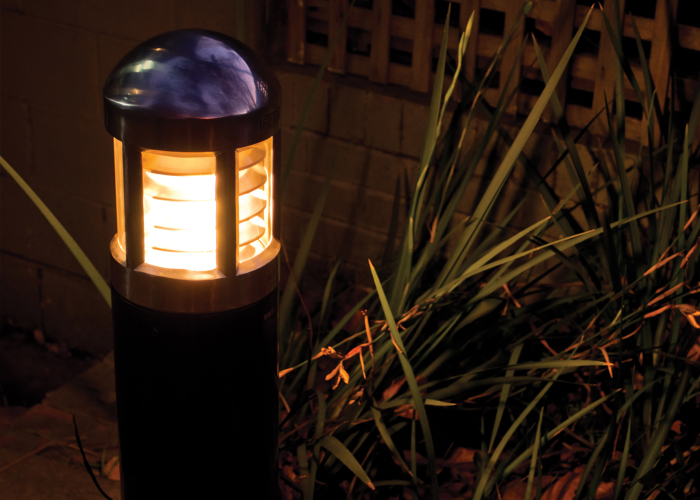 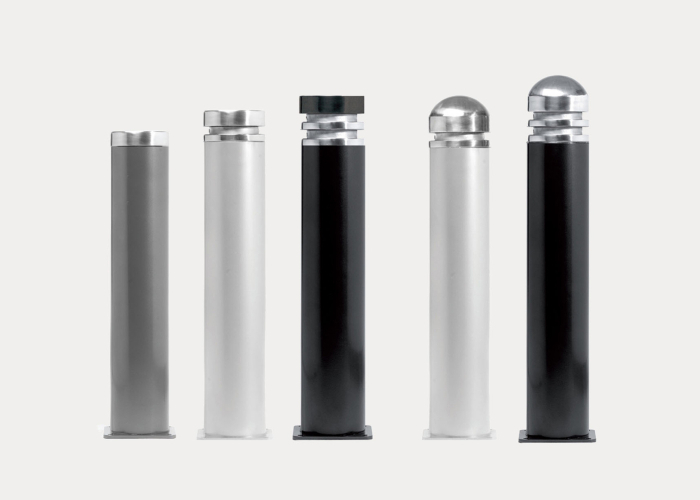 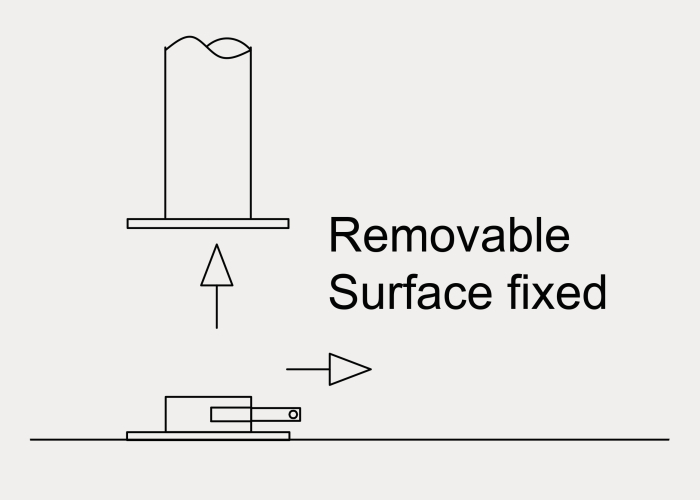 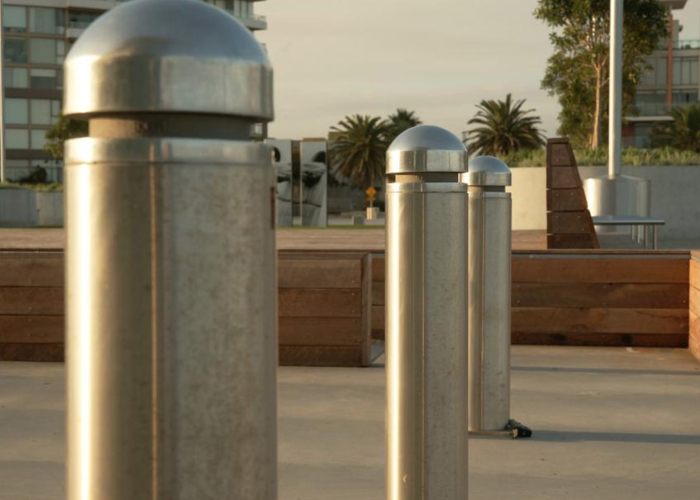 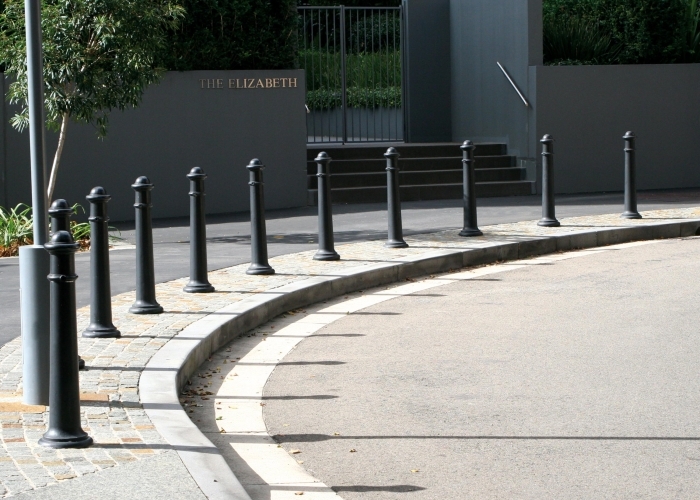 Slender bollards in aluminium or stainless steel body, with a choice of three uniquely cast aluminium heads. 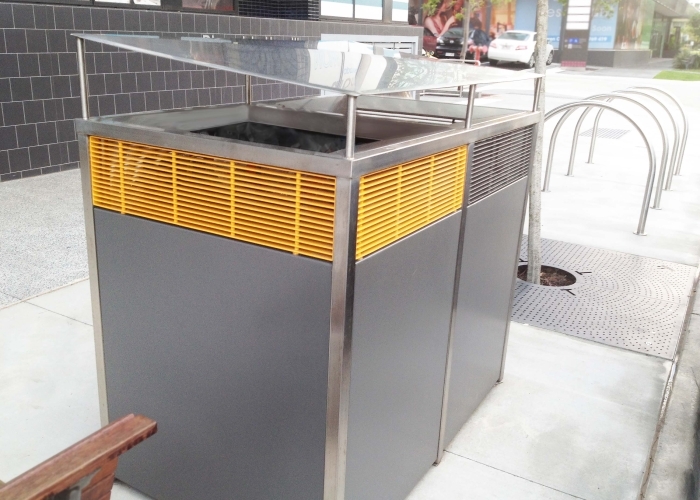 Tailored Frame Bins Enclosures, Semi Hoop Bike Parking and Stainless Slim Bollards used around new mixed-use complex. 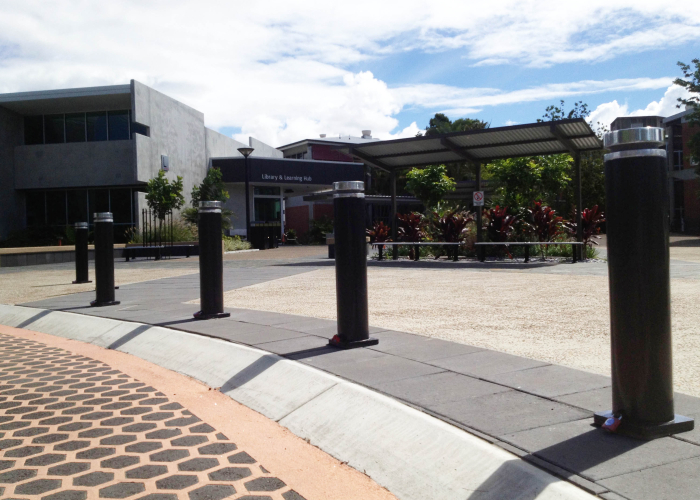 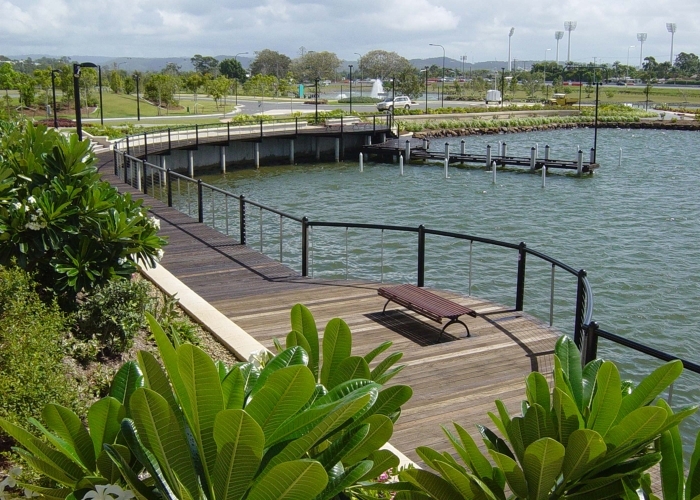 Robina Hospital required custom tree grates that were designed in such a way as to prevent women wearing high heels from slipping and trapping their heels in the perforations. 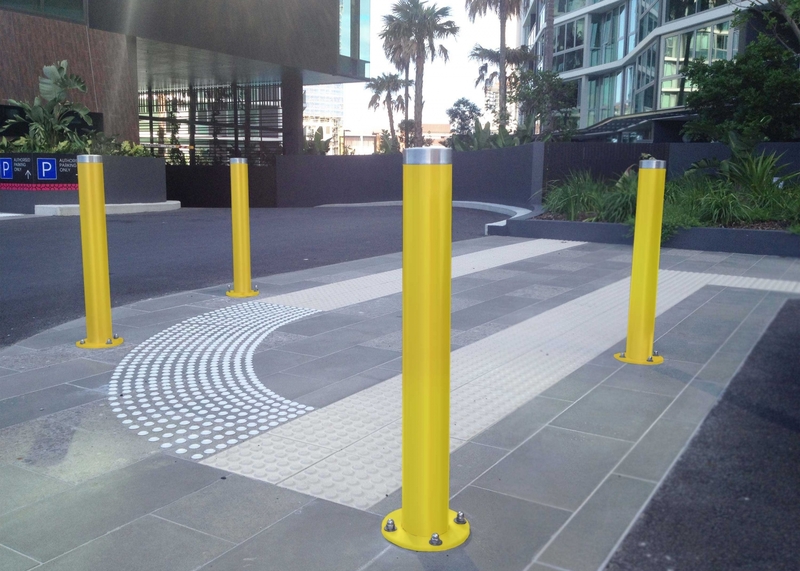 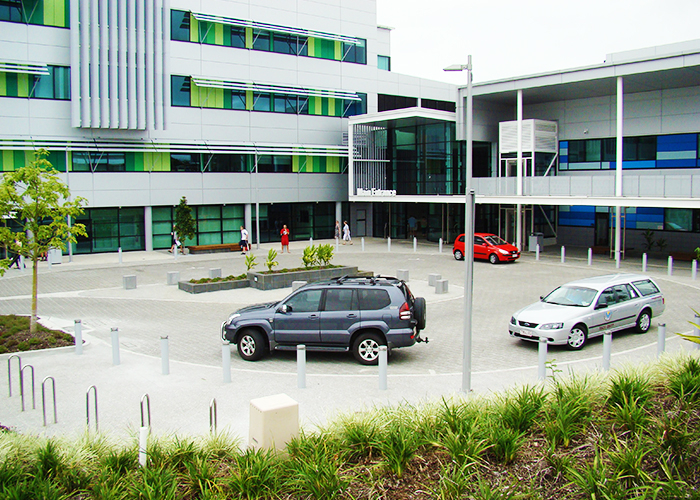 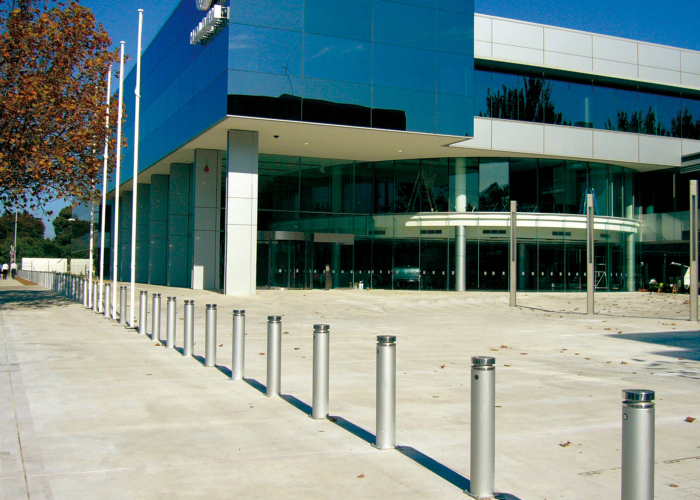 Along with the custom tree grates, Robina Hospital also ordered Wide bollards, Frame bin enclosures and Slim Hoop bike stands, all in a precious silver finish.